Awario just announced the new so-called topic cloud for their social media and web mentions monitoring tool. Meet an easy way to identify key themes within your brand mentions. 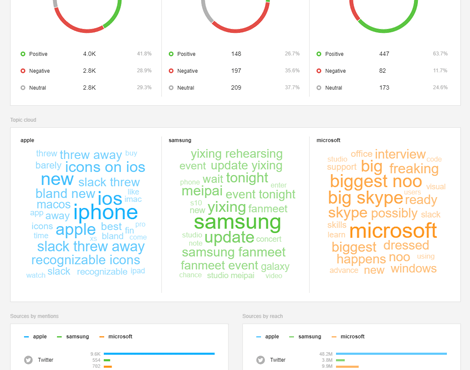 The Topic Cloud is a brand new feature that lets you visually see which words, hashtags, and phrases are mentioned alongside your keywords most often. You’ll also find out how key topics are changing over time. For example, thanks to this tool we know that people are repeating things such as “nothingness”, “unsee”, “bland”, and “$1b” when talking about the new Slack logo. Dare to find out what people say when they talk about your brand? Start your free trial now! This feature is part of Pro and Enterprise plans.